Some of my favorite posts to write are for the Loving Day Blog Hop, which brings me together with other authors and some great readers in the service of interracial romance. This year, while I was hunting for photos of real-life interracial couples to put in my post, I actually had trouble deciding which ones to include. I found myself inspired not only by the number of interracial couples but by the length of time so many of them had been involved with each other. I was so distracted by their love stories that I almost didn’t finish my post on time! So here’s what I’d like to do between now and next Loving Day. Starting in July, I’m starting the Swirl of the Month Club. 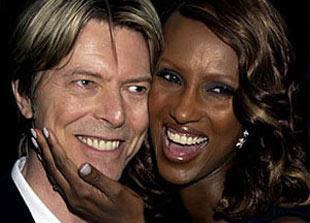 I’ll be writing about a well-known, well-established interracial couple every month. 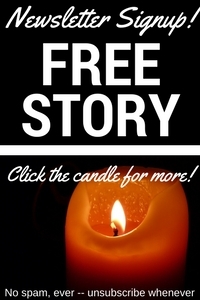 You’ll get to see pictures, check out some trivia, and read some awesome stories of real-life interracial romances. I’m hard at work on a calendar to keep track of future entries (for me — I want you to be surprised each month), and because I can’t help myself, I’m already looking for cute pictures to post. I hope you’re as excited as I am! Be sure to follow my blog for your monthly dose of real-life swirl. You’ll also pick up the latest news about my work and whatever else is in my head, but don’t worry. I think you’ll dig that, too. They chose each other over all comers, and that’s what love is. It’s been a whole year since the last Loving Day party, and a lot has changed for me. I’m working on the sequel to my first book, Illicit Impulse, (because I still work slowly — that hasn’t changed at all), but I’ve sold a short story, and I’m building professional relationships along the way. I’m creating the set of stories I want to write and want to be known for, my brand, and as my blog header says, you can count on me for romance served hot, with a swirl. As I’m finding my place as a writer in the world, I’m often asked why I chose interracial romances. (I’m also often called out for limiting interracial romance to black women and white men, when the Great Spectrum of Swirl is so much larger, but that’s another story.) Mia Zachary expressed much of my reason when I saw her at a presentation earlier this year. She said the protagonist is an avatar through which we enter the story. When I started reading romances, there was no avatar who looked like me, and while it’s hard to explain why that makes such a big difference, it’s hard to deny that it does in fact make a difference. At a presentation for HarperImpulse’s Romance Festival, Cindy Gallop said this about women in business: “We cannot be what we cannot see.” The Lovings, whom we celebrate today, are actually a great example of that. 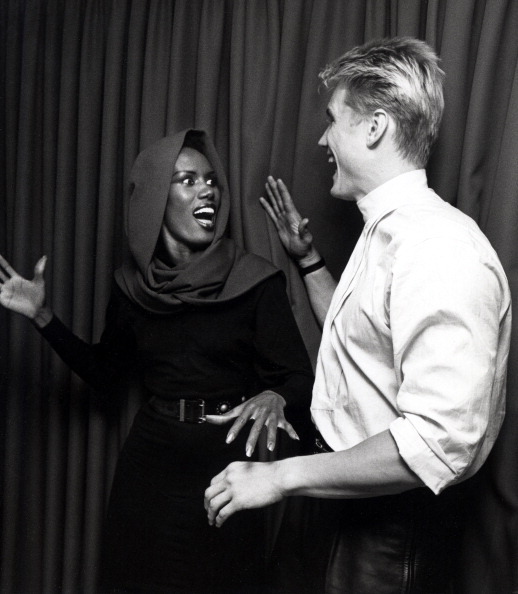 David Bowie and Iman celebrated their 23rd anniversary just recently. So many folks think that interracial marriage was illegal across this nation before the U.S. Supreme Court decided the case that bears their name. But that isn’t true. They’d been married very legally in Washington, D.C. before returning to Virginia, where the trouble started. What is true — in the late 1960s and today — is that lots of people who’d been quietly interested in pursuing interracial relationships look to them and to other real-life couples for the silent encouragement they provide without even knowing they’re doing it. Somewhere out there, someone saw the Lovings, two extraordinarily ordinary people obviously in love with each other, and took comfort. 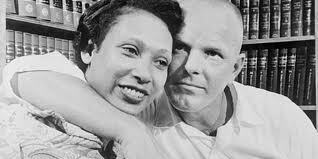 After all, Richard and Mildred Loving weren’t chasing a fetish or swayed by stereotypes or indulging in sexual curiosity. They fell in love. They got married. They returned home together and were awakened in their bedroom by the police. They were arrested when Mildred pointed at their marriage license. Because they were man and wife, the Lovings were breaking the law. So they challenged the law. And the law changed. 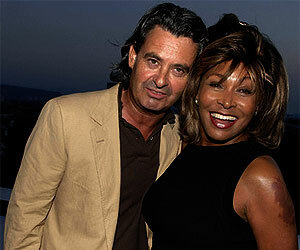 Tina Turner married Erwin Bach last year. By that time, they’d been together almost 30 years. relationships). My stories aren’t built on such weighty stuff. But when I imagine my heroines and their men, I think of them the way I see Richard and Mildred. I write about people in love who will choose each other over all comers. Not because of their color and not in spite of it. Not because he doesn’t see it or she doesn’t notice it or they don’t allow it to make a difference. He’ll fall for her because of who she is. For this man, her color is just a part of who she is. How she lives and moves in the world as a black woman, whether she defines herself that way or merely identifies herself that way, is also a part of her. He loves her. And he’ll fight like hell to keep her. That’s what my little corner of interracial romance is all about, and that’s why I celebrate Loving Day. It’s a reminder of what real love is made of and how it’s built to last. So you wanna win something? Here’s the link to the Loving Day Blog Hop giveaway over at Rafflecopter; head over for a chance to win a $25 Amazon gift card. Leave me a comment here, and I’ll pick one lucky soul to win a copy of Illicit Impulse and some snazzy swag. Want to go on a Loving Day tour and find some terrific IR authors? Here’s the list of Loving Day Blog Hop participants. Stop by and discover some great reads! And for the next stop on the hop, head on over to Stacy-Deanne‘s blog! Happy Loving Day!